Belle Mer Condominium, perfectly sited on the Gulf of Mexico in beautiful Navarre Beach. 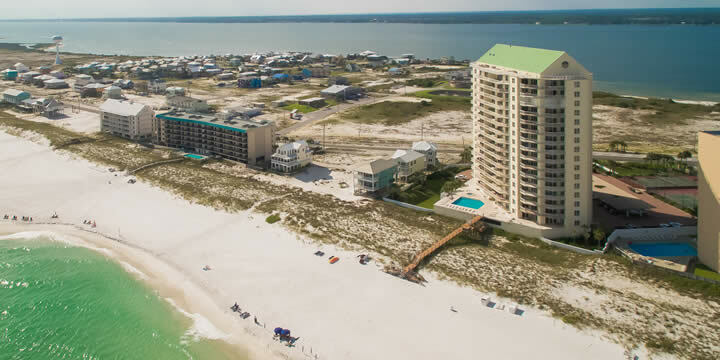 This pristine beach is less than thirty minutes away from all of the shopping and restaurants that Okaloosa Island and Destin offer but is a world away from the traffic, congestion, and noise. Belle Mer residents enjoy a unique respite from the hustle and bustle of modern life. The property provides tennis courts, fitness facilities and a sparkling pool and hot tub. All of the condos at Belle Mer have sensational views of the Gulf of Mexico and are directly on the beach. Unit 1004 Belle Mer has two masters on the Gulf side, an updated kitchen and western views overlooking Santa Rosa Island, the sound and the Gulf.